I’m ashamed to say it. My 48-button pearlescent-red accordion — a beauty purchased three years ago on a previous visit to Paris — is lying dormant in the fireplace and has not left the building since I moved here 1 July. Apart from the odd Yves Montand or Henry Purcell cover eked out as far as the end of the first chorus, she’s a woefully neglected squeezebox in need of a good squeeze from a more talented owner. If she were a French poodle, the la SPA would be sending me threatening letters. This post is for her, for me, for la vie bohème and for wannabe buskers all over the world, especially debutants here in Paris. 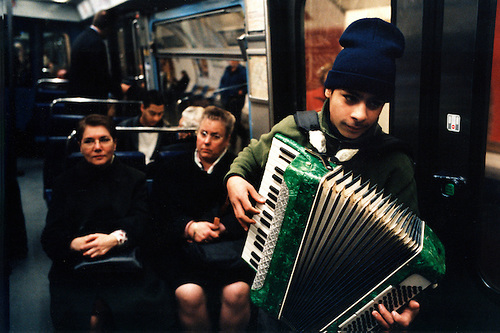 Desmond Huîtres, busker extraordinaire, has agreed to share the secrets of his success as a hapless street musician, so you can prepare to audition for this year’s Musiciens du Métro scheme. I’m already inspired, and solemnly swear to report back as soon as I’ve roused my accordion and taken the plunge. It’s the middle of August in Paris. Your English-language students have gone south for some sun and the city has been left to the tourists. Thinking of supplementing your summer income with some busking? Maybe it’s time to test your mettle on the streets of Paris. 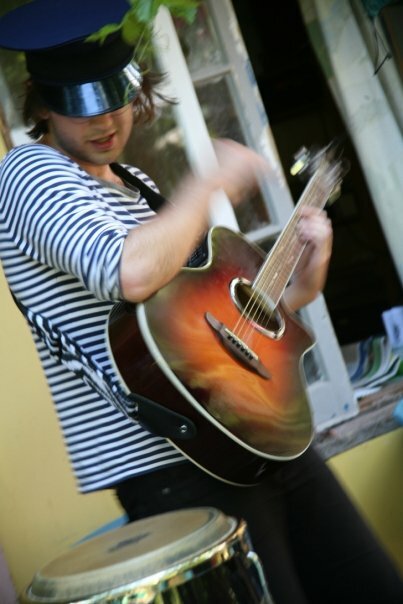 Follow my top eight tips and you can profiter de your busking experience! Don’t be afraid! 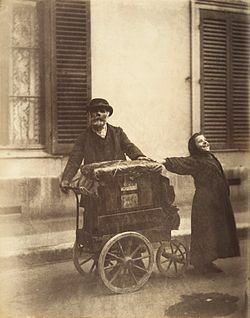 Putting yourself out on the street and exposing yourself to the scrutiny of passers-by, competing with other street performers, beggars and monkey-stick-wielding organ-grinders is a thrilling but terrifying prospect. If it’s your first time – or your first time busking in a new city – the only way is to jump in the deep end. A ‘nothing to lose’ attitude will hold you in good stead. And remember: they can smell fear and desperation. The English word ‘busk’ comes from the Spanish verb buscar ‘to seek’ (i.e. fame or fortune). But what are you really searching for? Whether it’s emergency beer money you’re after (la vie bohème doesn’t come as cheap as you might think), an audience for practising your special skill or just for fun, being clear about your motivation (or at least open to thinking about it as you go) will help you hone your act and make the most of the experience. Stars have been discovered on the Paris métro, but if you are a debutant and feeling a bit shaky you might like to think twice about like to think twice about bursting your equals in a crammed carriage. Regardless of your expertise, make sure you choose a good line (1 and 2 are recommended) and a good time of day (rush-hour 5-7 weekdays is not a good idea — especially not on line 13 — unless your act revolves around impersonating a soggy crêpe). Playing in the metro stops is also a possibility, and you will often see performers in large stations such as Châtelet, Opéra and République, although these areas are more stringently policed so take care. The Cons: Your captive audience may turn on you. Aside from the risk of finishing your number on your arse on the wobbly line 11, there are some other technical challenges, too. For instance, after you perform you will need to pass around your hat (which takes a lot more guts than leaving one in front of you on the ground — do you have the guts?). Technically, you also require a permit (auditions for 300 spots are run by RAPT and start in September) and although nothing like Henry VIII’s decree to ‘whip unlicensed minstrels and players, fortune-tellers, pardoners and fencers, as well as beggars’ (which I believe is still on the books in London) is enforced in the Paris métro, punishments range from a stern telling off (in French) from the gendarmes to confiscation of busking paraphernalia, including money-hats and monkey-sticks. Even fines are not unknown. You might also get robbed on the métro. Keep that in mind. 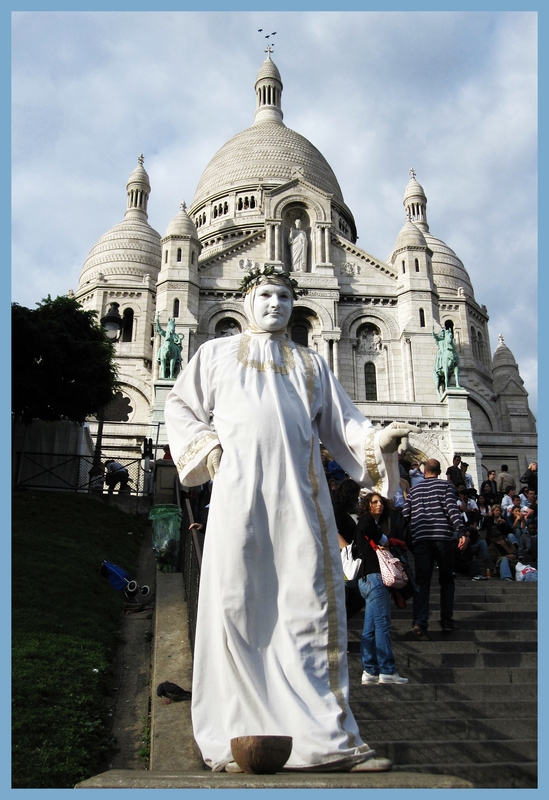 Popular locations are around Notre Dame and Montmartre (a classic for accordionists and mimes). The streets around the basilica are full of little nooks and crannies and enterprising performers might rally a crowd in front of the church itself. You could also try in front of the Centre Pompidou or on the Île Saint-Louis (formerly known as Cow Island). The Pros: These places are always packed. Also they are large so you can find a spot you like and make it your own! Often they are also quite beautiful. The Cons: People live around Montmartre, so you may be abused by residents about noise if you get too far off the tourist trail. Also be aware that, like in any city, many buskers have their favourite spots and if you’re on someone else’s turf expect to learn some dirty French! 4. Smile and dance and sing! Whatever your act you must be charming. This applies to busking in general but especially to busking in Paris, where smiles from strangers can be hard to come by. ‘Where does my charm lie?’ you must ask yourself. If you’re a walk-by busker you really only have a few seconds to impress people. Dancing is always a winner. Especially in boots. And especially if this is not your skill. Know your act and play to your audience! 5. Be prepared for anything! To get the best of the experience, say yes to everything. If you get a song request try your best even if you don’t know the second verse. If you are approached by fellow buskers and invited to form an impromptu group, pourquoi pas? If you are asked directions and don’t know the way, give ’em anyway. If you are mobbed by a group of elderly German tourists, dance a polka for them. When you busk, you’re throwing yourself over to the unexpected. Embrace the wonderful surprises that come your way and you’ll make the most of it. 6. Really: be prepared for anything. More specifically be prepared for being harassed by angry neighbours, angry buskers, angry children, angry commuters, angry policemen, angry restauranteurs, and perverts who are not-so-discreetly taking photos of your crotch… Unfortunately, this stuff happens. Chin up. It’s part of the fun. That being said, Paris has gained something of a reputation as a city unfriendly to buskers. Really, this is based on the high number of buskers, schemers and scammers chasing tourist euros and les flics trying to control the situation. But realistically, you’d be unlucky to have a problem. In several months this busker extraordinaire has had zero run-ins with the authorities and only one with a pervert taking photos of his crotch. 7. Think about your act. Spending a little time thinking about your act will help your chances. Ask yourself if it will it work in the space you are performing in. If you are playing an instrument and/or singing will you be loud enough? Will you be visible from a distance? 8. …But don’t think about your act too much! Unless you are really a pro who can comfortably manage a large group of people surrounding you and you have a specially trained monkey that goes around collecting money at the end of the show, you’re probably going to be pretty unprepared. But that’s part of the fun. The best way to improve your act is by trial and error! If it’s not working out, try to pinpoint the reason. Maybe you need to move? Maybe it doesn’t matter; just play and enjoy the beautiful view of Paris (See No.3: location is everything). Best of luck, fellow buskers — see you on the streets of Paris! Do you always need a permit to busk? or is it just on/by the metro?